Hi y'all! I think I'm finally caught up on my myriad of projects. 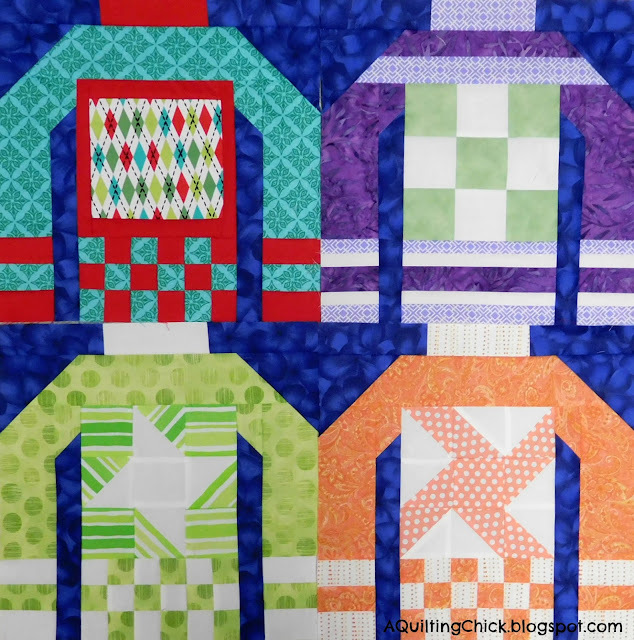 I'm going to share last weeks blocks on a couple of projects today but then, it's all about Christmas Sweaters!! First up, here is this week's block for Project 48. This block was really pretty simple. I love the way it turned out! This is going to be a fabulous quilt when it's done! Next up is the blocks for The Splendid Sampler from this last week. They are looking so so so pretty!! Every block is just as gorgeous as the last!! I finished up these penguins last night. And that purple is so deep and luscious! Okay, that is 22 blocks and I want 42 so I'm a little over halfway. But how will they look together? That's an idea! And OMG!!! Can I just say how much I love it!!! I cannot wait to be curled up with this next Christmas!!! So, we are slowly getting you caught up on all of the projects. I think the next one I bring in for you will be the 365 Block Challenge. That's a lot of blocks so far, but mostly small. Can't wait to share! 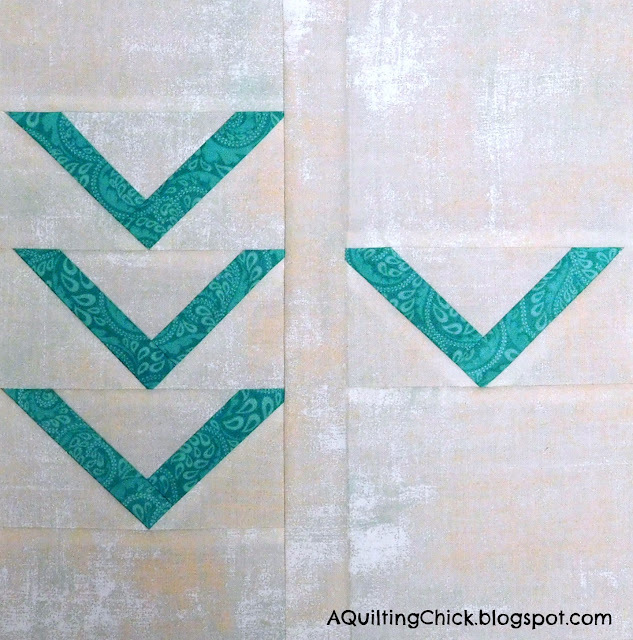 Today I'll be linking up with...Patchwork Times, Cooking Up Quilts, Bits and Bobs, Quilt Story, Freemotion by the River, Blossom Heart Quilts, and Sew Fresh Quilts. Those sweaters are lots of fun!! I've been following your Ugly Sweaters on Instagram, so it's great to see them all together here! They're so cute!!! These look so great! I want to make these-or at least a couple, but I also wanted to make the elephant parade quilt & still have,t gotten to it! There is always something else that needs done! Maybe next Christmas I can get a chance/reason to sew them for someone else so it will actually get done! Your sweaters are great, and I'm with Chris, those three would be my favourites too. These are a lot of fun! 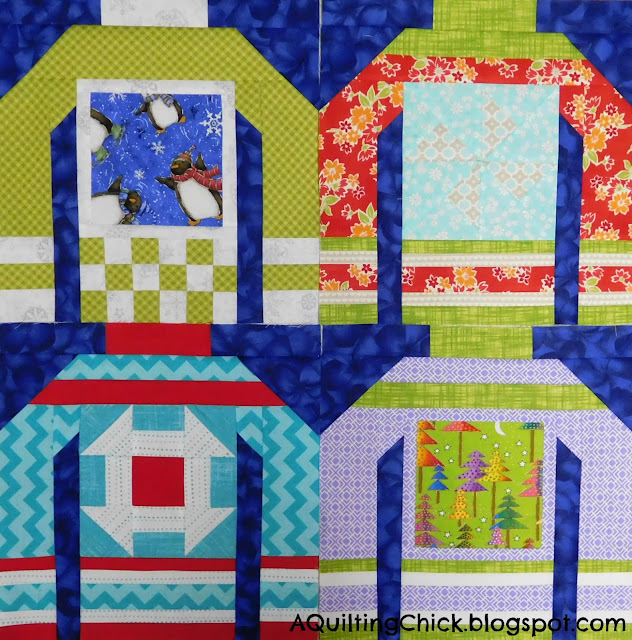 Ugly sweaters make for a great quilt block! There are so many fun QALs out there! I had not heard of the Ugly Sweater one! How great! So many fun blocks! They look great all together. I couldn't pick a favorite sweater from the set, they are all a lot of fun. Those Christmas sweaters are so much fun. Love the fabrics you have used for them. There are so many beautiful quiltalongs out there this year. You've chosen great ones! 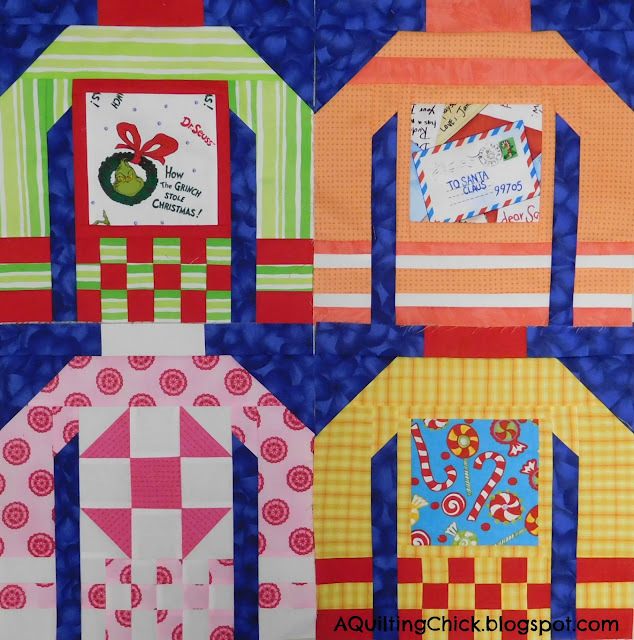 You certainly have captured the spirit of the ugly sweater quilt. Way to go I love it. 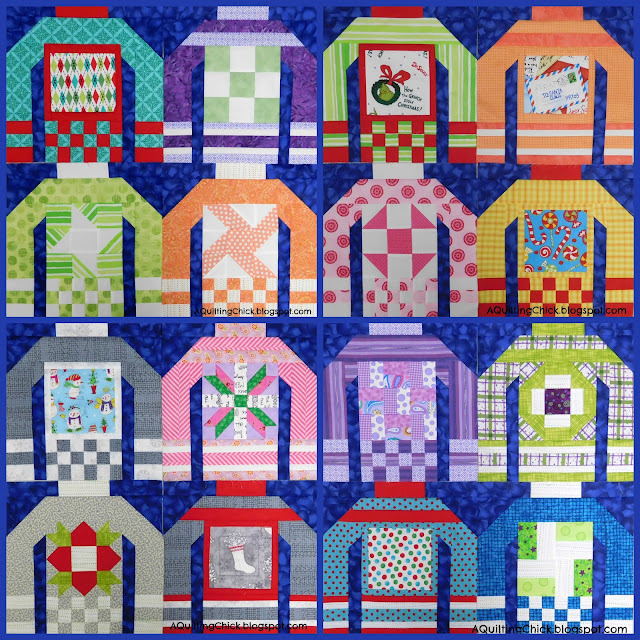 Your fabric choices on your sweaters are awesome! 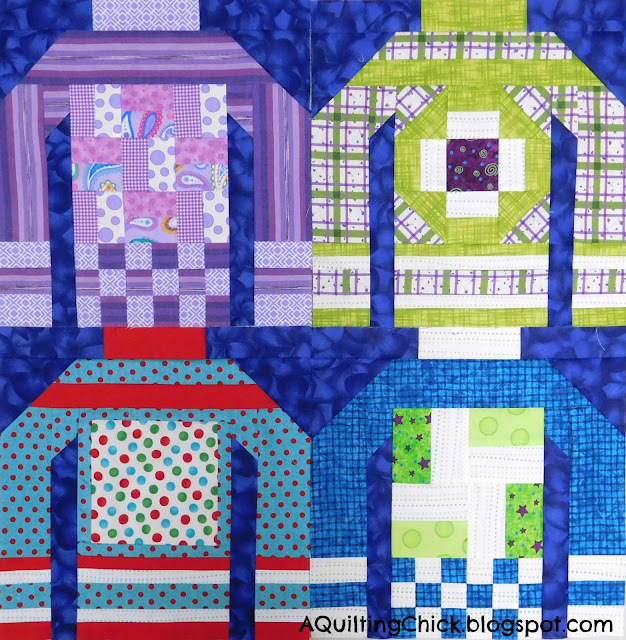 You are going to have the best quilt around, and I don't think anyone can call them ugly sweaters! Your Project 48 blocks are also terrific, and the setting is perfect. I really like what you are doing. The sweaters look so terrific all together. Great job! Cathy, you are such a QAL girl! I love your ugly sweaters so much. 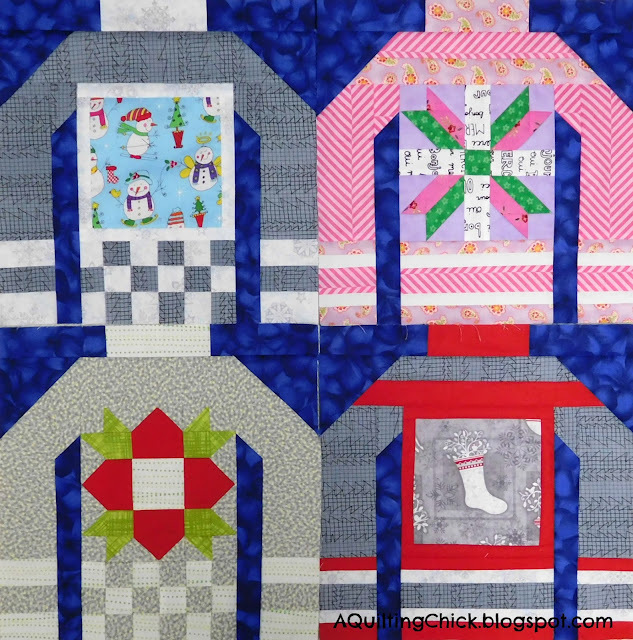 Your Ugly Sweater quilt is so darn cute!! Your sweaters look awesome together. Great colors choices! Love the background! Beguiling, Splendid, Project 48...Oh My!